I have to confess, I’m a sucker for beautiful beaches and an avid island lover. Snorkeling was my number one passion. I would go to each island and compare the beauty of the underwater life in each of the islands.. and here’s the secret guys… compared to Boracay, Phi Phi, Phuket, Lombok and other South East Asian islands I’ve been to.. Malaysia still had the best corals and underwater life where snorkeling is concerned (which island? Well i’ll leave that for another post). Last year, I decided to take my love for the underwater world a step further.. I was going to take my license to dive so I could really explore the deep waters.. But then, this little bundle of joy happened and everything changed! It’s been 10 months since I’ve last travelled and I’m starting to get really deprived.. I need a vacay! Pronto! But since i have this little one now.. my hotel searching is not just about cheap rates and a decent room- facilities and service now matters a lot! So researching I went and I’ve decided to put together some island resorts that are child friendly for my own future reference and hopefully it helps other mommies out there looking for the same thing. Besides the comfortable rooms, great facilities and stunning beach, I found out from the reviews of Berjaya Tioman Resort that they also provide baby sitting services!! Like seriously! This is heaven for parents okay (it can’t be just me right? :P)! I thought that my snorkeling days have to be on halt for a few years, but THIS… this gives me the opportunity to snorkel with hubs for a few hours without having to worry to much! I also love that they have a full-board package, so I don’t have to think so much about extra cost and spending. Look at how cute this little water park is! It definitely looks like a lot of fun! The Meritus Pelangi Beach Resort & Spa is a little bit on the high-end, but it has it’s own beach, it’s set around a man-made lake and have lagoon-style swimming pools. They also have a Children’s Club that offers entertainment and activities for the kids. So while the kids are at the club.. the adults can take a break at the spa or just chill at the swim-up island bar. A hidden gem of the coast of Johor is this beautiful island called Pulau Sibu. Sea Gypsy Village Resort & Dive Base is a great place for kids and parents who love diving! The amount of kids facilities and activities offered by the resort is jaw dropping! They have a kids lounge.. a kids bar.. some ‘nasty activities’ such as kite making, painting, pirate fun, sandcastle competitions, treasure hunts and outdoor activities like ‘poison ball’, crab hunting, swing ball etc etc.. They even have baby and toddler menus for parents to choose from! This place is super kid friendly.. and the island is freaking beautiful! Golden Sands Resort, Penang has won several family-oriented awards. They have the Cool Zone Kids Club, lunch and dinner are provided, even mobile phones are available on loan for parents who wish to be in contact with their children at all times. And mummies.. don’t worry cause they have bottle sterilisation service, baby sitting service, you can rent a stroller too and for breast-feeding mummies like me.. they have Mother’s milk storage service at the Front Office!! Wow! I’m suprising myself with all this discoveries!! A place that is close to home (for me), The Amverton Cove Golf & Island Resort also has kid friendly amenities such as the Kids’ Fun Zone and the Kids’ Game room. The entire family can also relax at The Hummingbird Entertainment Lounge which is well equipped with pool, snooker and foosball tables. Great for a staycation in my opinion! hehe! I seriously am surprised with the amazing facilities and services of all of these hotels and more.. I wouldn’t have known of all this amazing mummy friendly services that were available to us! These are just a number of the child friendly hotels.. You can check out more hotels and even book a flight at the same time here. Can’t wait for my next holiday! It’s going to happen in July.. so wait So excited! Have you experienced any other kid friendly hotels in Malaysia? Do share them with me in the comment section below.. Would love to check them out! This Is Why I’m Not A Landed House Person – Perks of Living in an Integrated Development There’s A New Mall in Kajang & Dinosaurs Are Involved Too! Don’t Miss The Biggest Online Baby Fair in Malaysia! Previous Article← #FavFashFind:7 Plus Size Denim Jackets You’ll Absolutely Love! Thanks for the recommendations, this is great for my upcoming family trip. Wow! How I wish I can travel to these island someday! Thanks for this! Really great for new parents. These are soo cool destination. And if I have my own kid and family I will choose one or two of these resorts.. Or maybe have an island hopping! 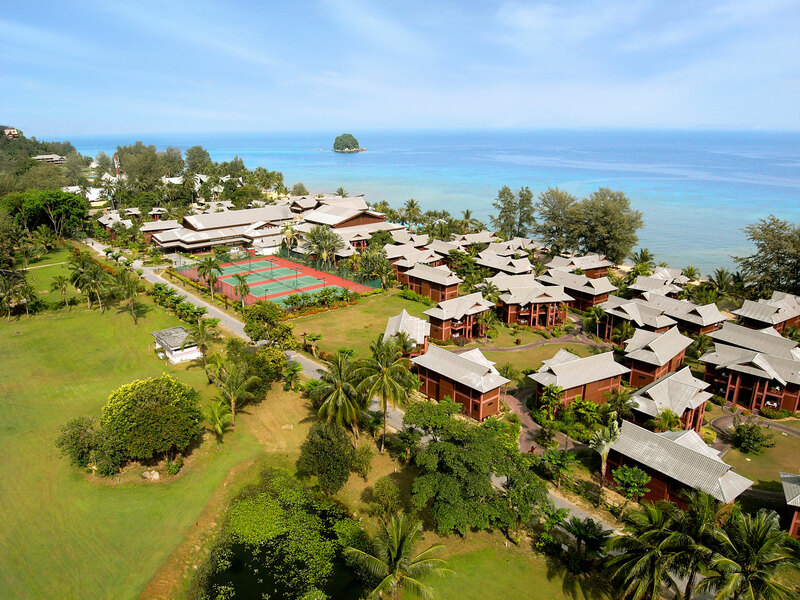 You should check out Andaman Hotel in Langkawi. It is great for families too. They have a children’s club which cater for 4-12 years of age. You can leave the kids there while you have your alone time with the hubby for a few hours. Worth checking it out. They also have children’s menu and a special meal program under Starwood. Do let me know your thoughts. I have been there and I & hubby loved it. My young kids too had a great time there. Just saw that they have a rainforest swimming pool too! Looks like such a beautiful place.. Will definitely consider it for sure! What a great list of child friendly resorts loving it.. !!! Oh my! These are great places to have a relaxing getaway or even a romantic destination. I wish to come here in the future with my family too <3 Thank you for sharing! Malaysia has sooooo many beautiful beaches and islands.. and resorts too 🙂 I love Hard Rock Hotel, Penang. Cheers!! The Johor resort definitely caught my attention. I am an active person and the word diving attracted me. Thank you for the recommendation! Will bring my family to some of those recommended places. My kids love to play at the beach. Agree with you write up. This Island are beautiful. Have not visit 6 of this Island. Researching on Pulau Sibu and came across this post. Ah, no kid of my own but when a resort is kid-friendly, I know it is good enough for me.